Legendary singer-songwriter and musician, Gordon Lightfoot brings his 80 Years Strong Tour to the Balboa Theatre in San Diego on March 13. After more than 50 active years of hit song making and international album sales well into the multi-millions, it's safe to say that esteemed artist Gordon Lightfoot resides with some very exclusive company atop the list of all-time greats. His song catalog is incredibly vast and includes such immortals as “Early Morning Rain,” “If You Could Read My Mind,” “Carefree Highway,” “Sundown,” “(That's What You Get) For Lovin Me,” “The Wreck Of The Edmund Fitzgerald," "Canadian Railroad Trilogy," "Ribbon Of Darkness," "Beautiful," "Song For A Winter's Night" and "Rainy Day People" to name a few. 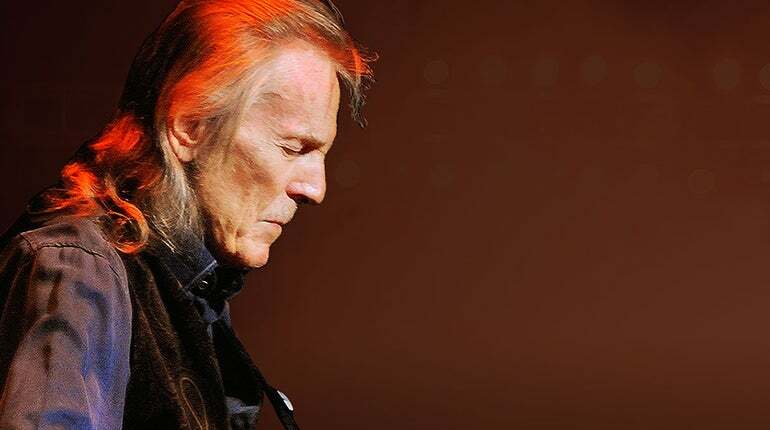 Lightfoot recently celebrated his 80th birthday, and the legendary artist will continue his cross-country USA tour entitled "GORDON LIGHTFOOT: 80 YEARS STRONG TOUR". The tour will feature his well known hits as well as some deep album cuts for the die-hard fanatics. All of which are woven together with some of Lightfoot's own behind the scenes stories and personal anecdotes about his historic 50-plus-years musical career and his 80 years of life. The event is sure to be a great thrill for live audiences and anyone who enjoys hearing great music and seeing a living legend in person.